The AMSR2 All-weather Sea surface Wind speed (ASW) research product compliments Sea Surface Wind speed (SSW) standard product and can estimate wind speed under tropical cyclones (typhoons, hurricanes, cyclones) or heavy rainfall regions where SSW product cannot estimate by using 6- and 10-GHz horizontal polarization channels. 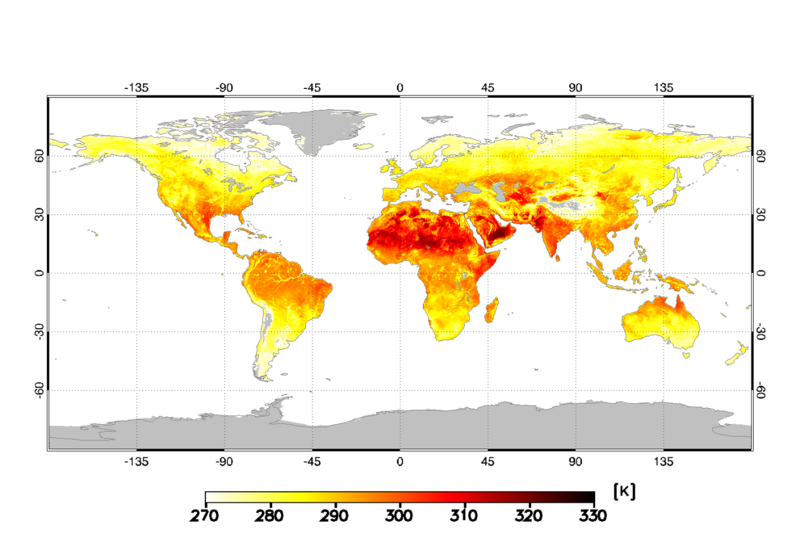 AMSR2's 6- and 10-GHz channels have advantage that they are less affected by microwave attenuation by rainfall, cloud and water vapor compared to other higher frequency channels. 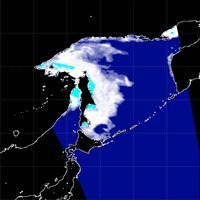 By utilizing this advantage, we estimate sea surface wind speed under rainfall area and distribute it as research product. AMSR2 ASW is routinely used in the typhoon analysis by the Japan Meteorological Agency because of its unique capability to estimate wind speed around center of tropical cyclones that had been difficult to estimate by satellite previously. 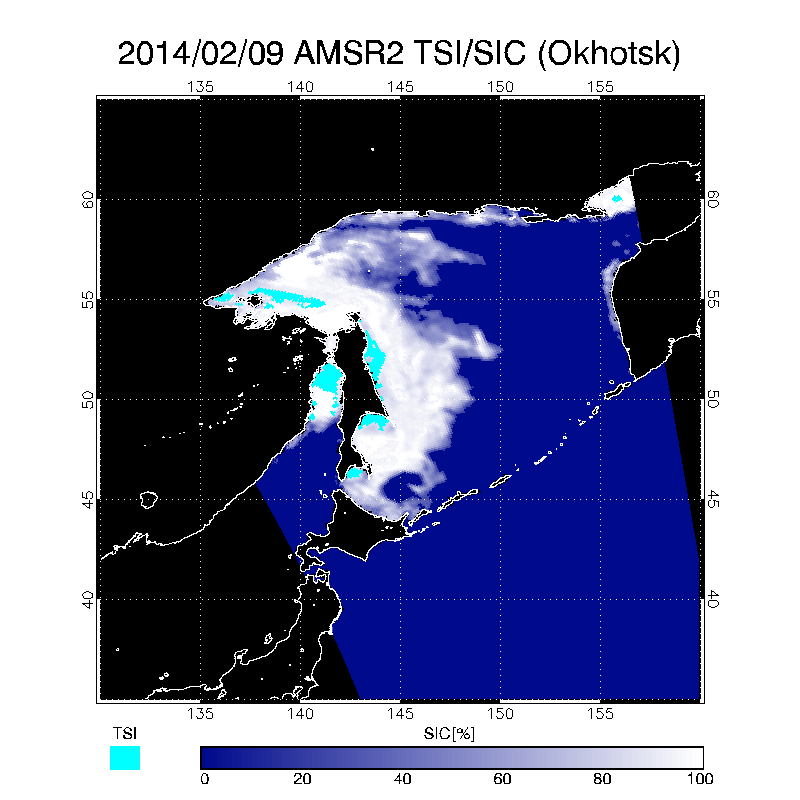 Spatial resolution of the AMSR2 ASW research product is about 60-km and is coarser than that of SSW standard product, which is about 15-km. 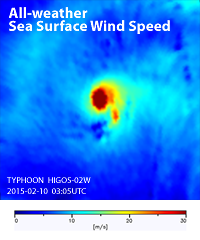 AMSR2 all-weather Sea surface Wind speed (left) estimates wind speed under heavy rainfall area (right) surrounding typhoon center where Sea surface wind speed standard product (middle) is missing (shown in black). 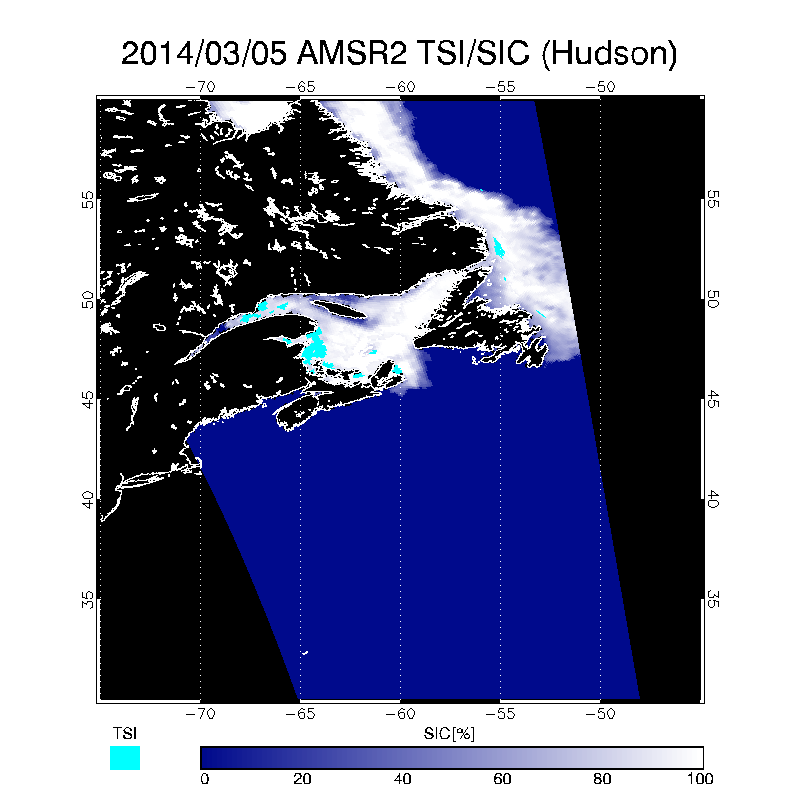 The AMSR2 10-GHz Sea Surface Temperature (SST) research product uses 10-GHz channels in SST retrievals. By this algorithm, we can obtain SST in higher spatial resolution than SST standard product that uses 6-GHz channels. 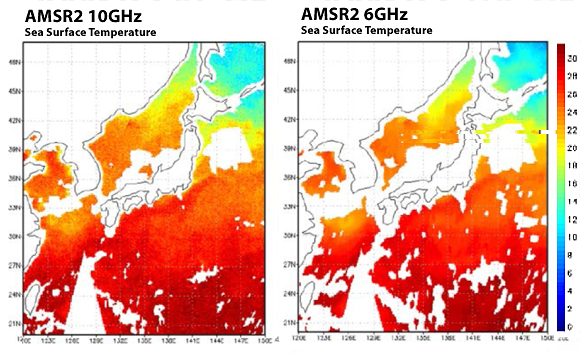 SST estimates by passive microwave radiometer is calculated from microwave radiance of low-frequency channels that have sensitivity to sea surface temperature. However, they are also affected by microwave radiance from land included within observation pixel, and we cannot estimate SST over coastal regions close to land. Since 10-GHz channel has finer spatial resolution than 6-GHz channel, land-affected area becomes narrower and the 10-GHz SST product can estimate SST closer to land than that of the 6-GHz SST product. Since 10-GHz channel has poor sensitivity to SST lower than around 10 degrees Celsius (degC) and its retrieval accuracy becomes worse, we defined lower limit of observation range of 10-GHz SST product as 9 degC. 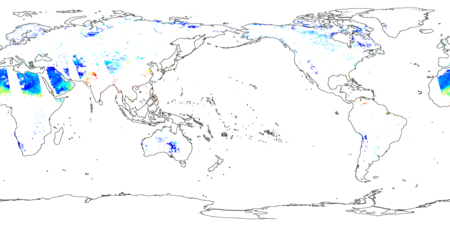 Regions where there is rainfall are also set to missing due to problems in retrieval accuracy. The 10-GHz SST (research product) has higher spatial resolution than that of the 6-GHz SST (standard product) and missing area along the coast becomes less. 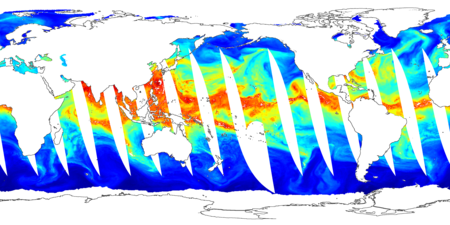 Please note that the 10-GHz SST data is not distributed as single research product file but included in the HDF5 file of SST standard product (stored as the 2nd layer of "Geophysical Data") for user's convenience. 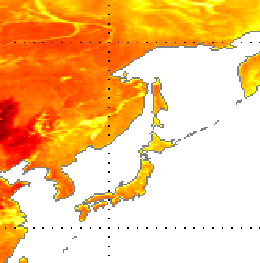 When you want to use the 10-GHz SST product, please visit the JAXA Globe Portal system (G-Portal) and download the AMSR2 SST standard product. AMSR2 Land Surface Temperature (LST) product is one of research product, and LST values (i.e., the soil surface temperature for bare surface and the canopy top temperature for forests) are retrieved using 37 GHz vertical polarized brightness temperature. This LST values can be retrieved twice a day basically under all weather conditions, but the accuracy of LST in rainy areas is worse than that in clear weather areas due to attenuation by rain drops. Therefore, this LST product has a `rain flag' as one of quality flags. 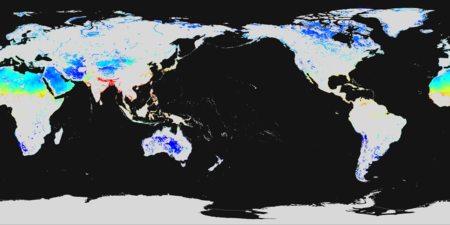 Sea Ice Concentration product (SIC) in the standard product does not discriminate pixels of which most parts are occupied by sea ice. 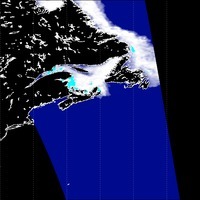 Detection of Thin Sea Ice product (TSI) can detect the area where sea ice thickness is up to 30 cm in pixels whose SIC values are more than 90%. 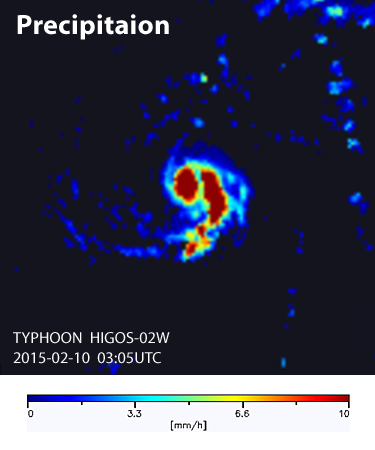 TSI is retrieved from the feature space of 18-GHz V and 18-GHz V - 18-GHz H brightness temparatures. 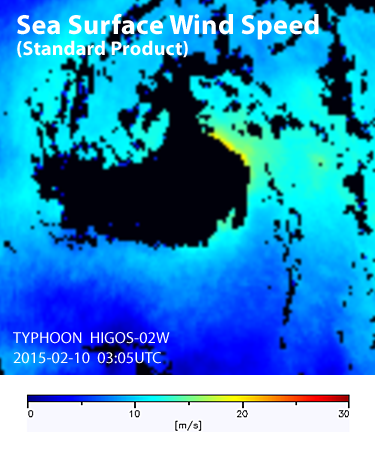 This TSI product was verified using the thin sea ice area retrieved by the MODIS reflectance of Band 1 (620nm-670nm) and Band 2 (841nm-876nm). 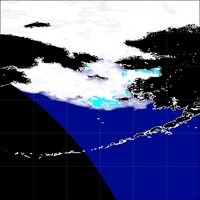 TSI was originally developed for the Sea of Okhotsk, but it was confirmed that its performance is good also in the Bering Sea and the Hudson Bay. AMSR2 Total Precipitable Water (TPW) standard product only estimate parameter over the ocean. 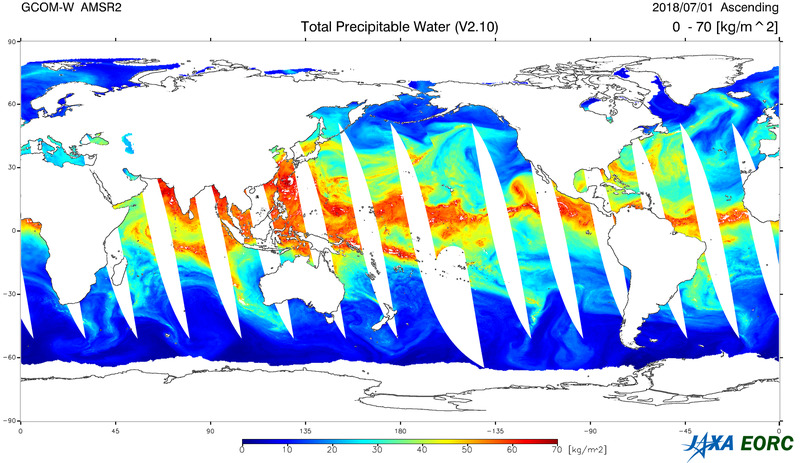 It estimates total precipitable water over ocean by using near 23 GHz water vapor absorption and 18 and 36 GHz window channels since ocean surface emissivity can be described accurately and brightness temperature of sea surface is relatively cold and can be distinguished from signals by atmospheric water vapor. 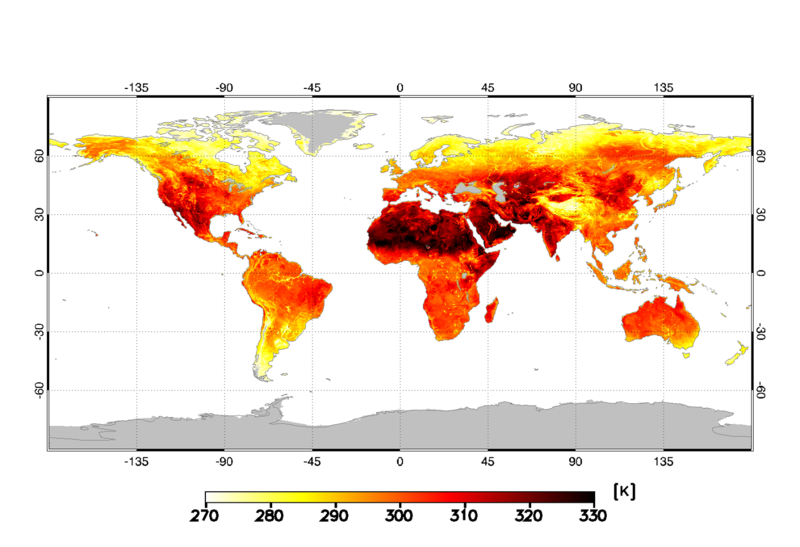 On the other hand, land surface is not homogeneous, and its emissivity varies depending on the environment and seasons. Therefore, separation of signals by land surface and those by atmospheric water vapor is a challenge. 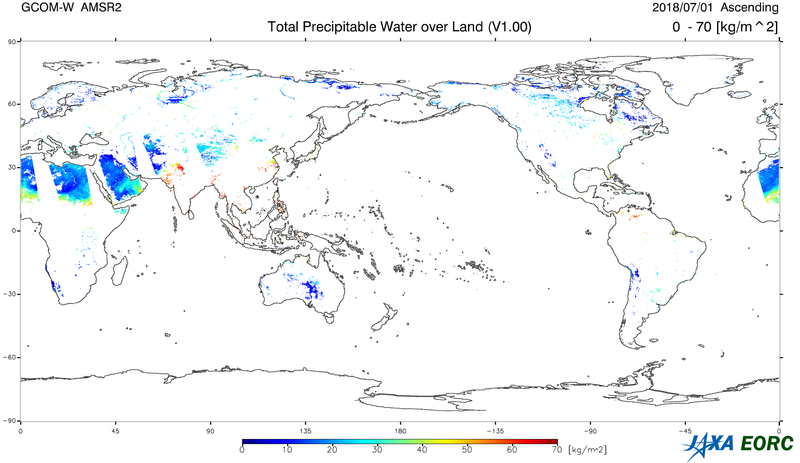 AMSR2 Total Precipitable Water over Land (PWL) product uses differences between polarization channels (vertical and horizontal polarizations) of each 18 and 23 GHz and retrieve total precipitable water over land except ice, snow and vegetation regions. Validation of PWL product uses global radiosonde network and ground-based GPS receivers, same as that for TPW standard product. 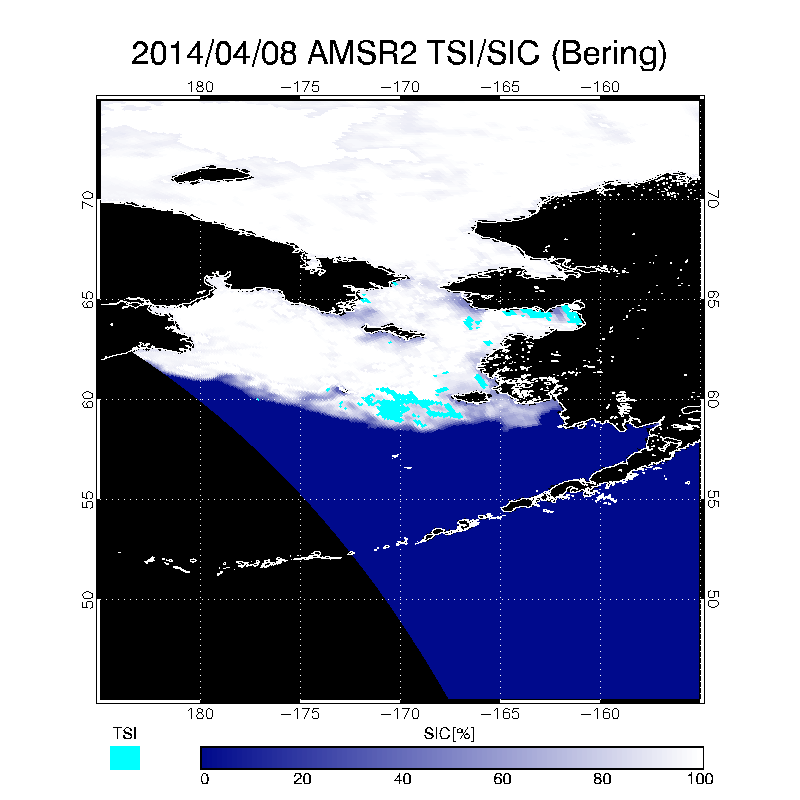 Estimated values from the AMSR2 PWL product is compared to match-up observations by radiosonde and GPS receivers and root mean square error (RMSE) between them is calculated.